← when you only see the imperfections. I’ve jumped on the smoothie bandwagon. Because of my autoimmune disorders, I sometimes have trouble eating. 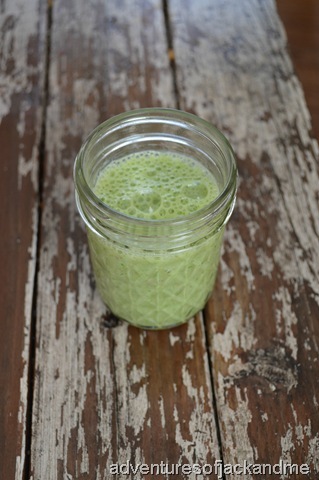 A smoothie is a great way to get nutrients in that is easy on my mouth and throat. 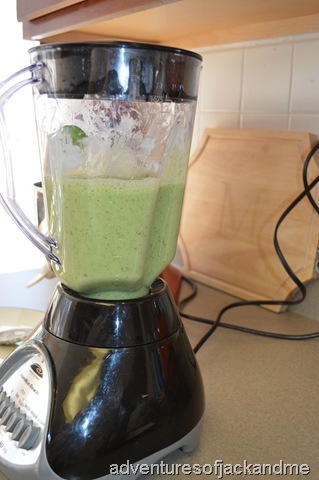 Autoimmune disorders aside, I think smoothies are great for breakfast and afternoon snacks. Not only am I on the smoothie bandwagon, but the green smoothie one. 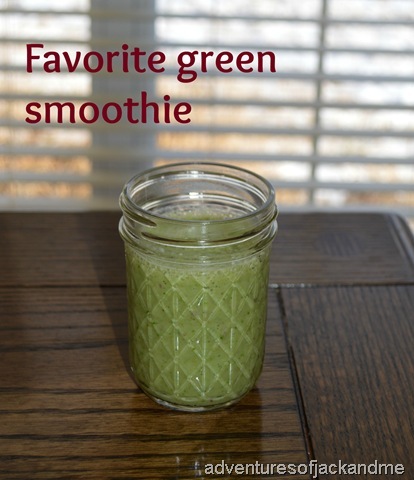 I am loving this green smoothie! It tastes a whole lot better than it looks. And this smoothie is very nutritious! I use low-fat, plain yogurt. It’s very low in fat and has less sugar than flavored yogurts. 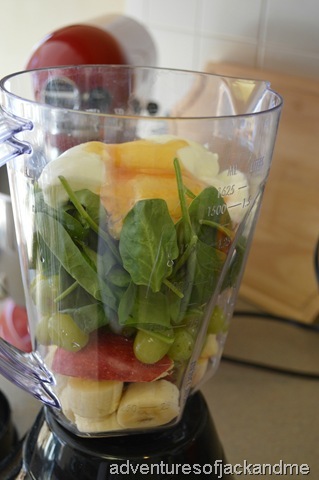 I do add some honey to sweeten it, which also blends really well with these fruits and the spinach. If you have trouble getting your kid to eat anything green, this is a really fun way to get them involved. They can help put the ingredients in the blender, watch it go, and then drink a fun drink. It’s a great way to get the goodness of fruits and vegetables in picky eaters. 2. Cut apple into slices and core. 3. 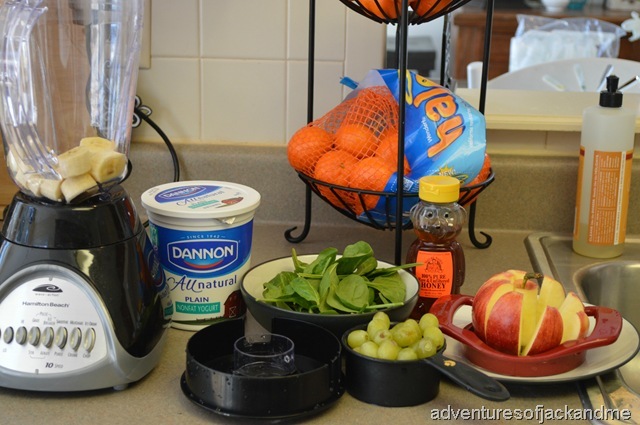 Put all ingredients in blender. 4. 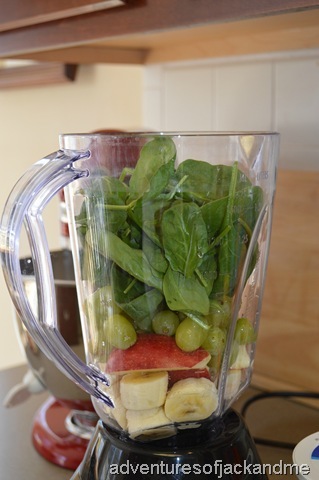 Blend together to desired consistency. Enjoy! And happy Friday friends! try this and see what you think! i’ve been very bad at smoothies before, too. but this one is so easy and so good!